Dogs and their admirers are set to have a new club near the U Street corridor to hang out next month. The Doozydog! 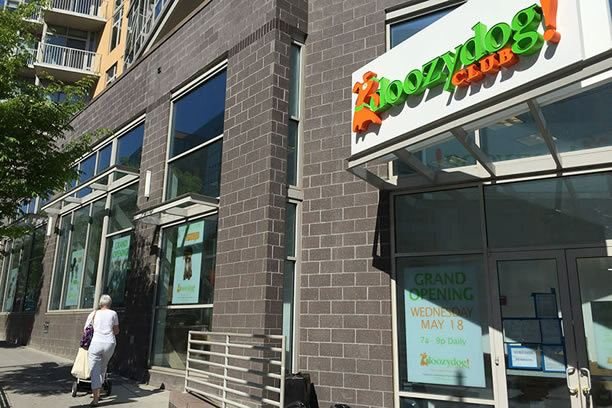 Club, which bills itself as the “un-kennel” with a “modern dog experience,” is scheduled to open its first East Coast location at 2301 14th St. NW on May 18. The canine boarding, daycare and grooming company currently has locations in California, Texas and Washington state. In D.C., the club will have 4,500 square feet of space for play parks, sleeping areas, a boutique, a “state-of-the-art Style Bar” and a window for passersby to see the dogs in action, according to the company.